The advent of in vivo micro-computed tomography (micro-CT) provides a novel approach to measure the temporal adaptation of bone micro-architecture within an individual. Spatial alignment in the scanner between serial scans is challenging, but three-dimensional image registration can be used to superimpose the resulting image data, thus ensuring consistent regions of interest (ROI) for analysis. There have been several approaches to image registration developed, yet little is known about their application to high resolution micro-CT data. 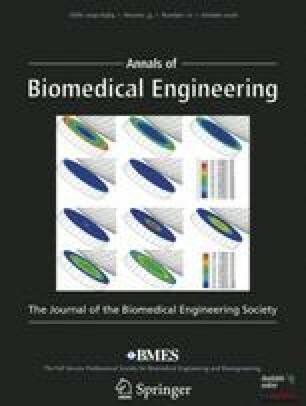 The purpose of this study was to explore combinations of three image registration similarity measures and three image interpolators, in addition to multi-resolution registration configurations, for assessment of computational efficiency and accuracy on both in vitro and in vivo micro-CT data. Accuracy measures were assessed by comparison with a gold-standard reference transform based on attached fiducial markers. It was concluded that a mutual information registration similarity measure with a linear image interpolator, applied at steps of increasing image resolution, provided the best compromise between accurate and efficient results. In vivo registration of tibial bone microstructure measured in an ovariectomized rat model provided consistent ROI thus demonstrating the usefulness of three-dimensional image registration for in vivo experimental and clinical micro-CT research. It is a technique that is poised to become commonly utilized for analysis of micro-CT data to diagnose and monitor efficacy of therapy in bone diseases. The authors would like to acknowledge JM Fitzpatrick and D Hill for their discussions on how to assess image registration accuracy, and for providing the Matlab code to calculate TRE. This work benefited from the use of the Insight Segmentation and Registration Toolkit (ITK) and the Visualization Toolkit, which are open source software packages available at www.itk.org and www.vtk.org.